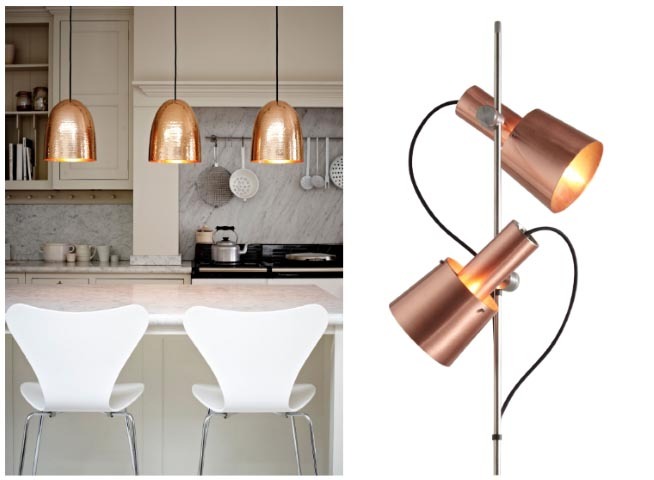 Copper lighting from Original BTC provides a striking accent in neutral spaces. Group pendants over a kitchen island or table for a dramatic anchor in the kitchen, or integrate a copper floor lamp beside your favorite armchair to create an ultra-cozy reading nook. 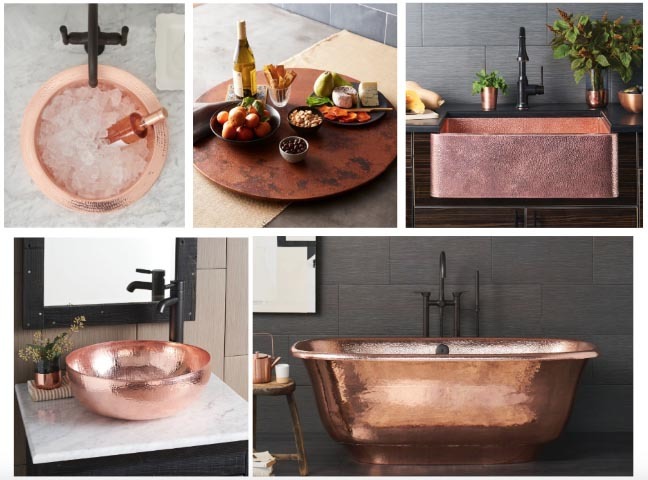 Incomparably beautiful, durable, and easy to care for, copper sinks, bathtubs, and accessories from Native Trails make a grand visual impression in the home. Skilled coppersmiths combine centuries of tradition with contemporary design to create functional works of art. Using age-old techniques passed down through generations, a typical copper sink or copper tub takes several days and many thousands of hammer strikes to perfect. Bring metallic appeal to the walls with Intersections, a kinetic-inspired temporary wallpaper that makes a bold statement without the commitment. 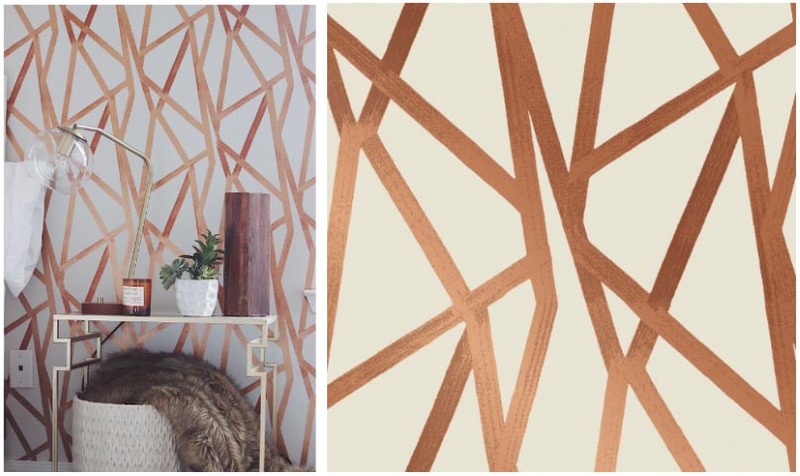 Intersections is part of the Genevieve Gorder Collection for Tempaper.